Nan, Inc. 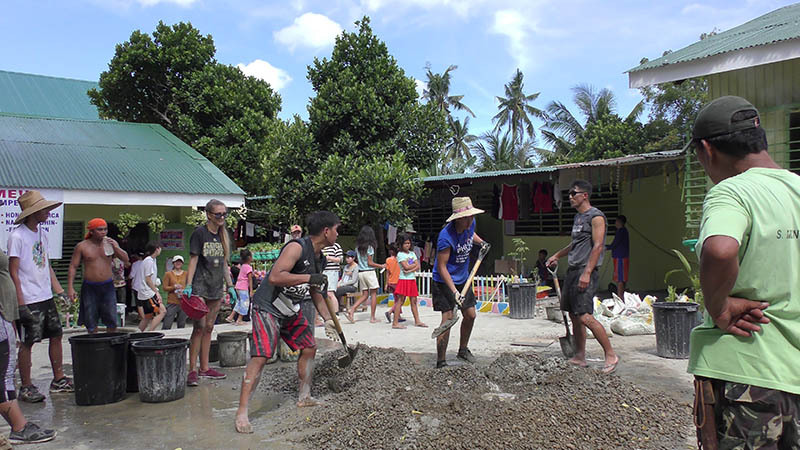 Supports Elementary School in Philippines | | Nan, Inc.
Nearly two dozen Hawaii volunteers have completed major improvements to an elementary school in a rural village in the Philippines. 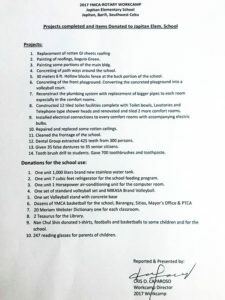 The work camp project was a philanthropic collaboration of the Honolulu YMCA, the Cebu, Philippines YMCA, the Hiroshima, Japan YMCA, the Honolulu Rotary Club, the Nan Chul Shin Foundation and the Hawaiian Eye Foundation. It also marks the 25th straight year that Honolulu-based volunteers have donated money and sweat equity to help the disadvantaged in Southeast Asia. 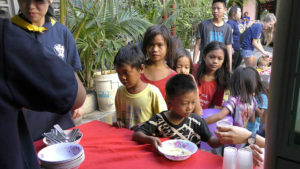 The 2017 service project started on March 19th with representatives of the Nan Chul Shin Foundation and the Honolulu Rotary Club assisting 18 youth volunteers from the Hiroshima YMCA in serving a nutritious breakfast to dozens of houseless children and their relatives at the YMCA facility in Cebu City. This is a weekly event made possible by the Nan Chul Shin Foundation. The Honolulu and Hiroshima volunteers served as stand-ins for that Sunday. The following day, this volunteer contingent which now included several more Oahu YMCA youth volunteers boarded vans for a 2.5 hour journey to Japitan Elementary School, located in the small rural village of Japitan in the southwestern area of Cebu Island. A huge crowd of school children and villagers waved Hawaii and Japan flags as the vans pulled up to the school. The school’s marching band also performed as the volunteers entered the school. For the next 5 days, these volunteers lived, worked, and formed heartwarming bonds with the children and villagers of Japitan. This labor of love all started with a relationship forged 50 years ago. Air Force captain Donald Anderson was stationed at Mactan air base in the Philippines when he befriended Cris Caparoso, a native of Cebu who would eventually become the director of the Cebu YMCA. After his career of military service came to a close, Anderson transitioned into a career with the YMCA, eventually becoming executive director of the Honolulu YMCA. Throughout the years, Caparoso and Anderson remained in close contact. And in 1993, Anderson and Caporoso teamed up to launch their first work camp to help the town of Ormoc where 8,000 people had been killed in a devastating flood. 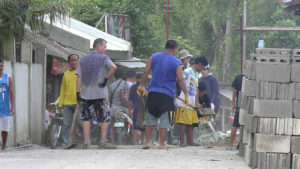 The Honolulu YMCA, Cebu YMCA and the Hiroshima YMCA teamed up to build 30 homes in a village that had been destroyed. 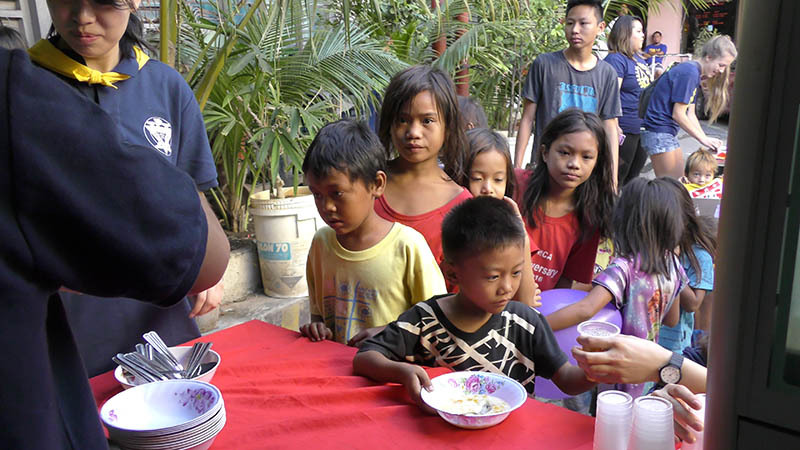 In the last 25 years, the goal of these humanitarian projects has been to improve lives in poor rural areas of the Philippines. But Don Anderson’s successful vison runs far deeper than sending money to stem a crisis. He sees incalculable value in the personal connections made when youth from Honolulu help perform the work. “By working and playing side by side with the local people, we have a special opportunity. We can show humility, gentleness and concern as a counter to the negative image many Americans have created around the world,” said Anderson. In recent years, the Nan Chul Shin Foundation has played a key role in funding these work camps. Take the 2017 Cebu trip for example. The Foundation covered the entire $11,000 cost of materials to improve Japitan Elementary School, plus an additional $3,000 for educational materials. Shin’s foundation is also a key funding source for the Cebu YMCA. Feedings that take place there twice a week are funded by the Foundation, and its namesake, Nan Chul Shin, isn’t just a silent donor. He and his two daughters participate in these work camps each year. The marks of success for the 2017 effort at Japitan Elementary School are both tangible and intangible. 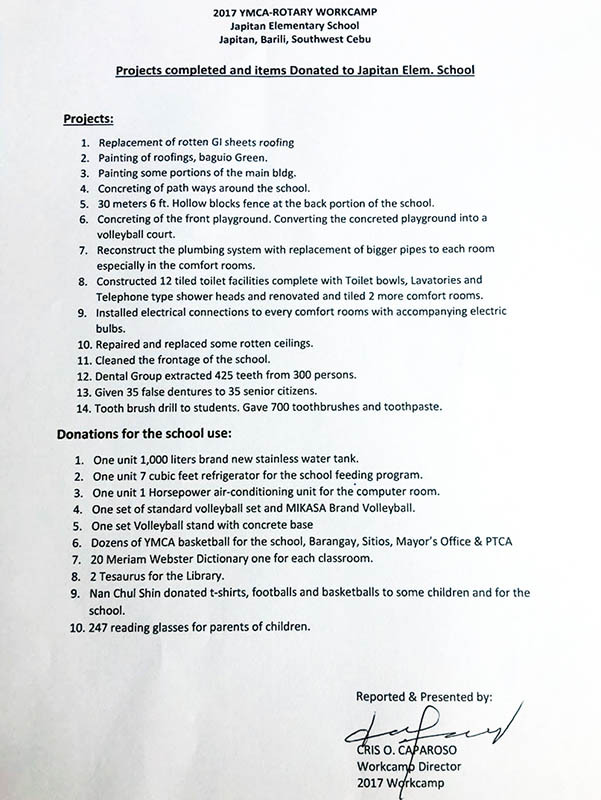 The school’s infrastructure is greatly improved with the installation of new 1,000 liter water tank, 12 new bathrooms, improved plumbing, new hollow block fencing, a new concrete volleyball court and new concrete pathways around the school, just to name a few. The residents of Japitan also benefitted from a three day free dental clinic. Volunteer dentists extracted 425 teeth from 300 residents. 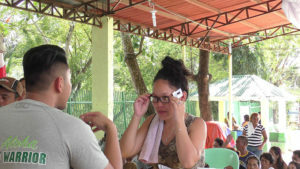 And during a giveaway of free reading glasses, more than 200 people lined up as Honolulu YMCA youth volunteers helped them find the right pair to help improve their eyesight. The Hawaiian Eye Foundation provided the glasses. Now to the intangible highlights. 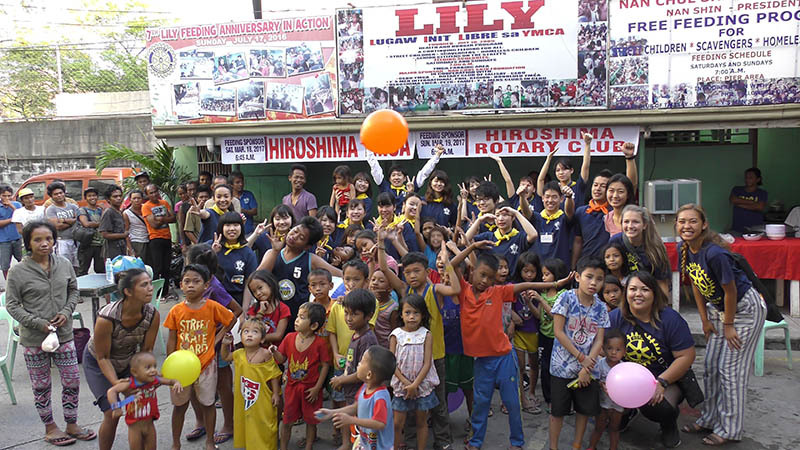 The work camp volunteers formed special bonds with the children of Japitan Elementary School. As a sign of appreciation, many of the kids took it upon themselves to pitch in and they offered “high-fives” to any volunteer with a spare hand. Each evening after dinner, various groups put on a show which featured singing, dancing and funny skits. The children showed up en masse, filling up nearly the entire playground. Other villagers lined up outside the school to catch a glimpse of the concerts. 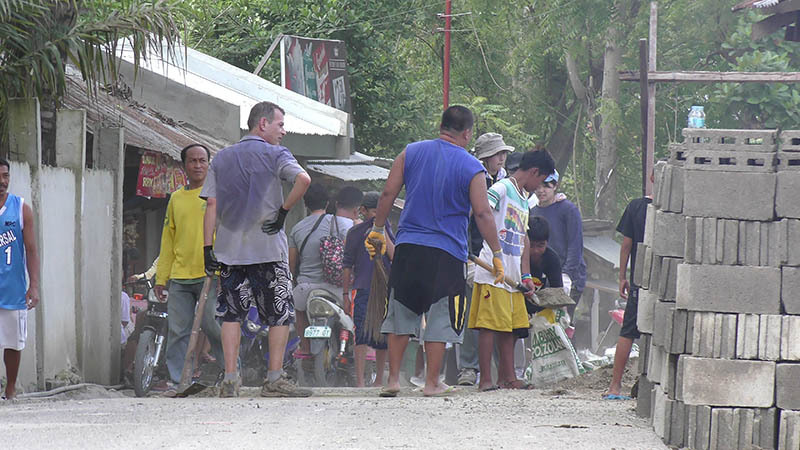 By week’s end, it was clear that this work camp was a huge boost to the community. The people went out of their way to say farewell and thank you. The volunteers were deeply moved as well. Many welled up with tears as they said aloha to the kids that had been such a steady presence in their lives. From organizer Don Anderson’s perspective, this is the true payoff. New paint fades and even the best laid concrete cracks eventually. However, the memories of friendships formed and the goodwill that was shared…that’s what will truly endure.